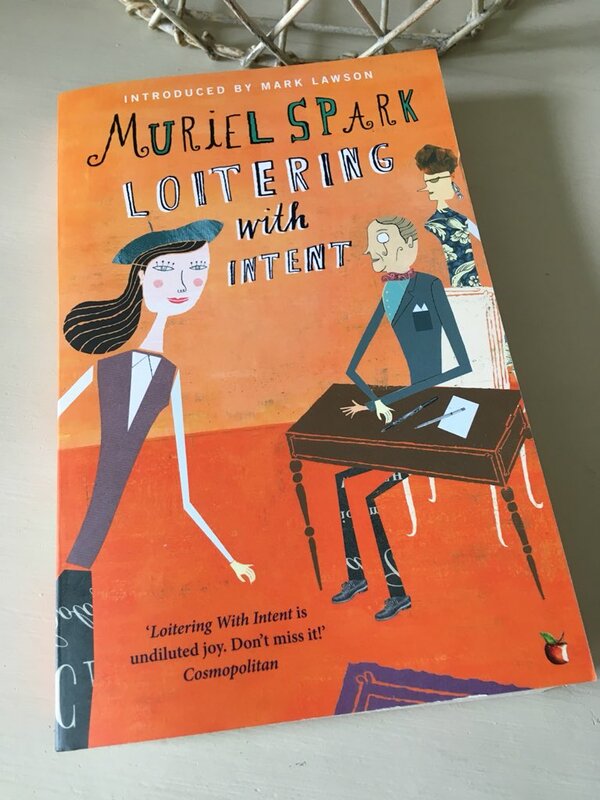 Of the Muriel Spark novels I’ve read so far, Loitering with Intent is perhaps the most playful. 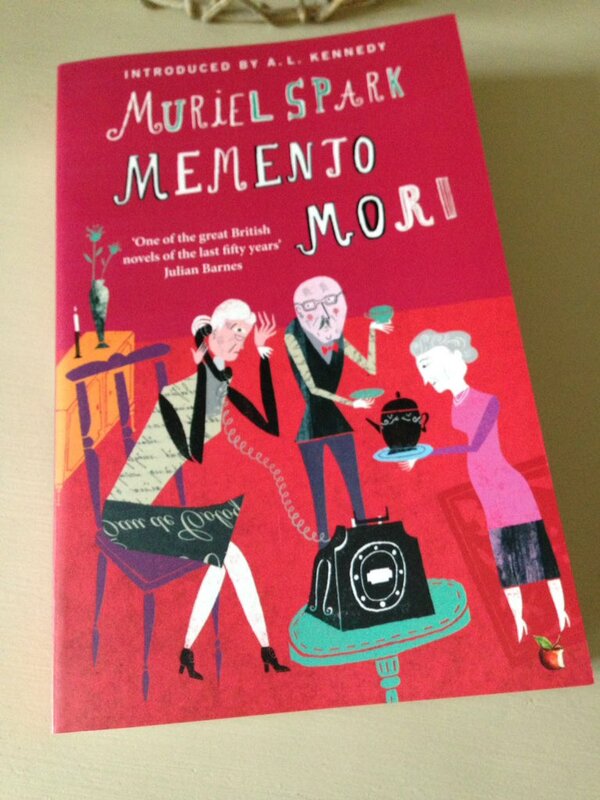 In some respects, there are similarities with Memento Mori, Spark’s wonderful social comedy on the challenges of ageing – another vehicle for her razor-sharp wit coupled with a dash of the macabre. I had a lot of fun with Loitering, a marvellous slice of metafiction about the work of writers and the fine line between fiction and reality. Loitering is narrated by Fleur Talbot, now a seasoned author with a long and successful career under her belt. In order to compile her autobiography, Fleur looks back on her early days as an aspiring writer in the mid-20th century, a time when she was eager to gain a foothold in the literary world. The setting is London, the year 1949. Fleur takes a job working as a secretary for Sir Quentin Oliver, a rather odd character who runs the Autobiographical Association, a ‘special circle’ designed to support a small number of individuals in the production of their memoirs. By night, Fleur toils away on her debut novel, Warrender Chase, a dark and sinister story which she claims to be a work of fiction. Nevertheless, that doesn’t stop her from taking inspiration from the world around her. Sir Quentin insists that the work Fleur is to undertake at the Association is top secret, to the extent that the opening chapters of the autobiographies are kept in a locked cabinet in his London apartment. It is alleged that the contents of the memoirs are incendiary, full of revelations that ought not to be revealed for several years in case they cause distress to certain persons still alive. In reality, however, the drafts are rather dull and poorly written. As a consequence, Fleur is encouraged by Sir Quentin to spruce up (and maybe even spice up) the texts, giving her licence to act as an editor of sorts as she goes along. The members of the Autobiographical Association (AA) are an eclectic bunch. There are six of them in total including a French Baroness of indeterminate age, a defrocked priest who has experienced a loss of faith, and an elaborately dressed woman who was raised at the Czar of Russia’s court. Another writer might have chosen to expand on the lives of these characters in more detail, but Spark decides – rather wisely in my opinion – to keep the focus on Fleur and her immediate world. As Fleur goes about her work at the AA, she begins to suspect that Sir Quentin is involved in some kind of sinister racket – possibly one that involves blackmail, although the financial circumstances don’t seem to fit. He appears to be quite wealthy while most of the members of the Association are not; some of them are actually quite hard up. To complicate matters further, the boundaries between ‘reality’ and ‘fiction’ begin to blur. Some of the people Fleur encounters in her job start to resemble characters from her novel, Warrender Chase. Certain events from her book play out in real life. Particular phrases reverberate and echo through each story as life begins to imitate art. To reveal many more details of the plot might spoil things, I think. Suffice it to say that Spark has a lot of fun in playing out the rest of the novel, a story that involves theft, duplicity and a dash of intrigue. There are some brilliant characters here. Sir Quentin is quite clearly a crank and a terrible snob, in thrall to a social class that is rapidly fading away. Fleur herself is a very engaging narrator – funny, independent and a little bit absurd. She is very protective of her novel, Warrender Chase, even though she believes at the time that it may never be published. I don’t think we’re meant to take her entirely seriously, especially as there appears to be an element of unreliability in her narration. Maybe trying to disentangle ‘fiction’ and ‘reality’ is all part of the fun here. Sir Quentin’s elderly mother, Lady Edwina, is another marvellous creation – complete with her glamorous tea gowns and immaculately painted nails, she has a penchant for the dramatic entrance. In spite of the fact that Sir Quentin and his housekeeper, the rather bossy Beryl Tims, believe Lady Edwina to be a little senile, Fleur quite correctly intuits that there is nothing wrong with this lady’s mind. Far from it; she is quite sharp with a wicked sense of humour to boot, all of which makes for some interesting interactions with Mrs Tims. In this scene, Lady Edwina enters a meeting of the AA ‘as if it were a drawing-room tea party, holding up the proceedings with the blackmail of her very great age and of her newly revealed charm’. It’s a real delight. All in all, Loitering with Intent is another excellent novel by Muriel Spark, full of ideas and knowing nods to the power of fiction. (I find her a consistently inventive writer.) There are stories nested within other stories here: Fleur’s recollections of her time at the AA; the biographies of the AA members, ultimately augmented by various developments in the book; Fleur’s novel Warrender Chase, of which we learn more as Loitering unfolds. I’ll finish with a final quote from Fleur as she reflects on her work as a writer, an observation that seems just as applicable to Spark herself. 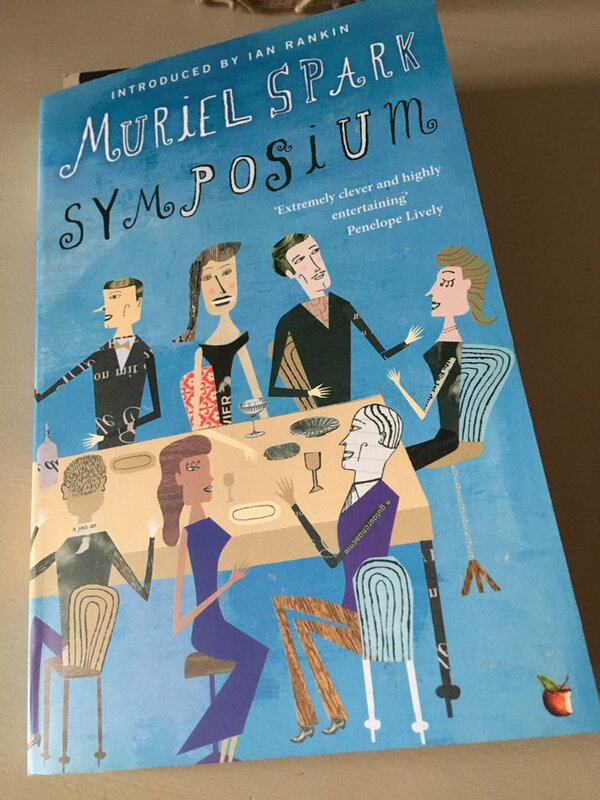 I am a little early for Ali’s #ReadingMuriel2018 schedule, but you can discover more about her project to celebrate Spark’s centenary here. Loitering with Intent is published by Virago; personal copy. 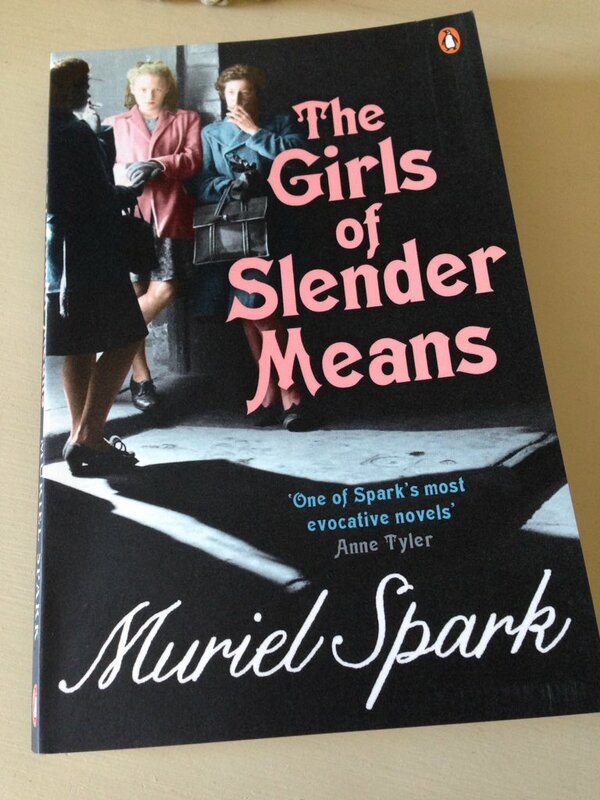 This entry was posted in Book Reviews, Spark Muriel and tagged #ReadingMuriel2018, #ReadWomen, Book Review, Classics Club, Fiction, Muriel Spark, UK, Virago, Virago Modern Classics on July 24, 2018 by JacquiWine. Without going into all the details, it’s probably fair to say that my previous encounters with Muriel Spark have been a little mixed. Nevertheless, given how enthusiastic several of my blogging friends are about this author, I’ve been meaning to give her another try for a while. Having just finished Memento Mori, I think I am finally beginning to see what there is to love about Spark, in particular her razor-sharp wit coupled with a dash of the macabre. Judging by this book alone, she was quite a writer. First published in 1959, Memento Mori focuses on the lives of a group of English ladies and gentlemen in their seventies and eighties, all of whom are linked by family ties, social connections and various secrets reaching back over the previous fifty years. As the novel opens, we learn that Dame Lettie Colston (one of the central characters in the book) has been on the receiving end of a sequence of mysterious phone calls from an unknown male caller. Each time the message is the same: ‘Remember you must die.’ The police seem of little help in the matter, and the nuisance calls continue. Another more conventional writer would have used this set-up as the basis for a mystery novel, focusing on the incidents themselves and the search for the perpetrator. However, Spark does something much more interesting with this idea, using it instead as a means of exposing the behaviours of various members of the group, exploring a range of social issues such as class, ageing and our attitudes to mortality. While Dame Lettie’s brother Godfrey shows some concern for his sister’s welfare, he has pressing problems of his own to deal with. His elderly wife, the once-famous author Charmian Piper, is now in need of care as she is exhibiting signs of dementia. Much of the joy of this novel comes from the acerbic exchanges between the various members of this family, the delightful Charmian being especially prone to mixing everything up in her mind. Here’s a brief extract from one of their conversations. ‘Are there lots of obituaries today?’ said Charmian. ‘Oh, don’t be gruesome,’ said Lettie. Towards the end of that quote, Spark touches on one of the novel’s recurring themes, namely the different characters’ observations on the process of ageing. Godfrey is proud to be in control of all his faculties, and as such he has a tendency to measure himself against his various friends and peers. Another member of the group, the gerontologist Alec Warner, makes a habit of covertly studying each of his elderly acquaintances by way of an amenable third party (Olive, granddaughter of the poet Percy Mannering), recording intimate details about them on a series of coded index cards. He seems strangely obsessed with every aspect of their behaviour as a means assessing their mental and physical health. While Memento Mori is not a traditional plot-driven novel, several developments happen along the way to keep the reader entertained. At an early stage in the story, Lisa Brooke, a long-standing acquaintance of Godfrey and Charmian, passes away, leaving a significant inheritance to be settled. Her former carer, the poisonous but highly capable Mrs Pettigrew, is staking her claim on the estate, as are the remaining members of Lisa’s family and her estranged husband, Guy Leet. While the details of Lisa’s will are being investigated, Mrs Pettigrew accepts a role as Charmian’s carer, thereby creating all manner of mischief and tension within the Colston household. There are some priceless exchanges between Mrs P and Mrs Anthony, Godfrey and Charmian’s housekeeper – too long to quote here in detail, they are tremendously well-observed. The sly and cunning Mrs Pettigrew isn’t above a spot of blackmail either. She recognises several weaknesses in Godfrey, most notably his strong sense of male pride and his penchant for the occasional dalliance here and there. As such, she sets out to use these flaws in his character to her advantage. One of the most enjoyable things about this novel is Spark’s portrayal of the relationship between Godfrey and Charmian. There is a very interesting dynamic here. As Charmian starts to rally, her mind improving and sharpening over the winter months, Godfrey finds himself experiencing a corresponding decline. It is almost as though Charmian’s spirits have to wither before Godfrey’s can bloom. As it turns out, Godfrey has always been a little resentful of his wife’s success as a novelist. In some ways he seems to enjoy bullying Charmian, treating her as a helpless child whose memory cannot be trusted. There is a wonderful scene where Charmian makes an afternoon tea all on her own while Godfrey and the others are out. Nevertheless, on their return neither Godfrey nor Mrs Pettigrew is willing to believe Charmian, Mrs P deliberately lying in the process as a means of putting her charge in her place. I love this next passage where Charmian begins to question her sense of duty to Godfrey. Interestingly, there is another strand within the novel, one in which the quietly tragic rubs up against the darkly comic. Charmian’s former maid and carer, Jean Taylor, now resides in the geriatric ward of a public hospital. This thread allows Spark to convey a different set of emotions, namely the loss of independence and sense of humiliation one may well experience on entering such a place. The other grannies in Jean Taylor’s ward provide some comic moments to balance the poignancy, obsessed as they are with the constant rewriting of their wills and the search through the horoscopes for signs of good news. Spark also uses this element of the story to pass comment on a range of social issues. Before she entered the hospital, Jean Taylor had longed to move to a private nursing home in Surrey; but Godfrey (her employer at the time) had quibbled about the cost, preferring instead to extol the virtues of the new and progressive free hospitals with their advanced standards of care. This would not do for Godfrey himself of course; instead, this distinguished gentleman imagines himself spending his final years in a nice hotel, possibly somewhere like the establishment in Elizabeth Taylor’s wonderful book, Mrs Palfrey at the Claremont. By the end of this marvellous novel, virtually all of the main players in the group will have received one of the mysterious telephone calls with the message ‘remember you must die’. Astute readers may have guessed the true identity of the caller by now, but if not, all will be revealed in the closing stages of the story. In Memento Mori, Spark has delivered a sharp yet moving tragi-comedy about the nature of ageing, one that might just provide us with a timely reminder of our own mortality and the need to treat each other with compassion while we’re still here. Memento Mori is published by Virago Modern Classics; personal copy. This entry was posted in Book Reviews, Spark Muriel and tagged #ReadWomen, Ageing, Book Review, Classics Club, Fiction, Muriel Spark, UK, Virago Modern Classics on November 22, 2016 by JacquiWine.